UPDATE: As of 3:55 p.m., the portion of Times Square that was evacuated is considered “all clear,” according to an NYPD spokesman. “Once the NYPD finished their investigation, everyone went back to their offices, everything was fine,” said a woman at the front desk of the hotel. Several reports have indicated the scare came from ‘garbage’ outside of the hotel, but the NYPD spokesman couldn’t confirm those allegations. 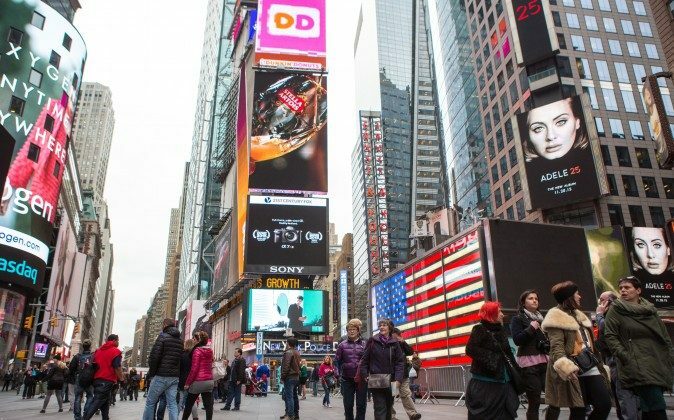 A spokesman for the NYPD’s Office of the Deputy Commissioner for Public Information has confirmed that the department’s Emergency Services Unit has evacuated an area in Times Square and is on the scene investigating a suspicious package. The suspicious package was reported to be in front of the Marriott Marquis hotel, located at 1535 Broadway. emergency personnel near West 45th St & Broadway, MN. Use alternate routes.